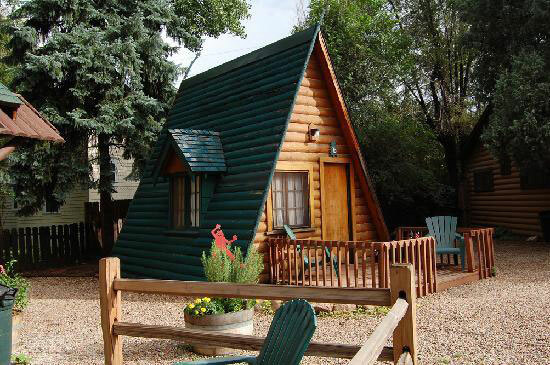 Colorado cabin rentals can be the perfect compromise for those who want to experience clear, starry nights and crisp, dewy mornings, as well as immediate access to outdoor recreation, with the comfort and amenities often sacrificed by tent camping. It’s ok to admit you’re not the “rustic” type — trade sleeping on the ground for the cozy beds of Colorado cabins, many of which are available for year-round stays. Here are eight options to get you inspired for a mountain vacation. Visit our Colorado cabin rentals listings for hundreds more ranging from luxury to simple mountain livin’, and see a few of our favorites for winter cabin stays and lakeside lodging favorites. One of Colorado’s most popular vacation spots vacations sits right outside the eastern entrance of Rocky Mountain National Park. 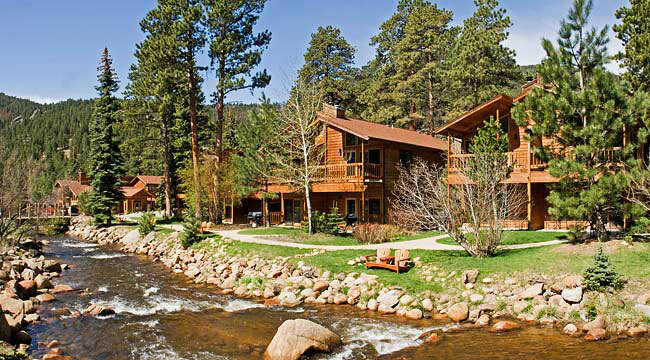 The town of Estes Park has more than 70 cabin complexes that tantalize vacation planners with amenities like private hot tubs, Longs Peak views, playgrounds, gurgling streamside rooms, fireplaces and barbecue-ready patios. Some are secluded and some are close to town, but they’re all close to the mountain paradise of Rocky Mountain National Park. For even more, check out the cabins in Grand Lake on the park’s western entrance. Four acres of log cottages rest among 50-foot pines just outside Colorado Springs and Manitou Springs — minutes from popular Pikes Peak-area attractions like Garden of the Gods and Cave of the Winds as well as restaurants and handy grocery stores to fuel outdoor adventure. Fountain Creek gently flows through Timber Lodge's grounds, and for days when you need a break from Colorado’s summer sun, a large swimming pool provides plenty of splashing-around room. 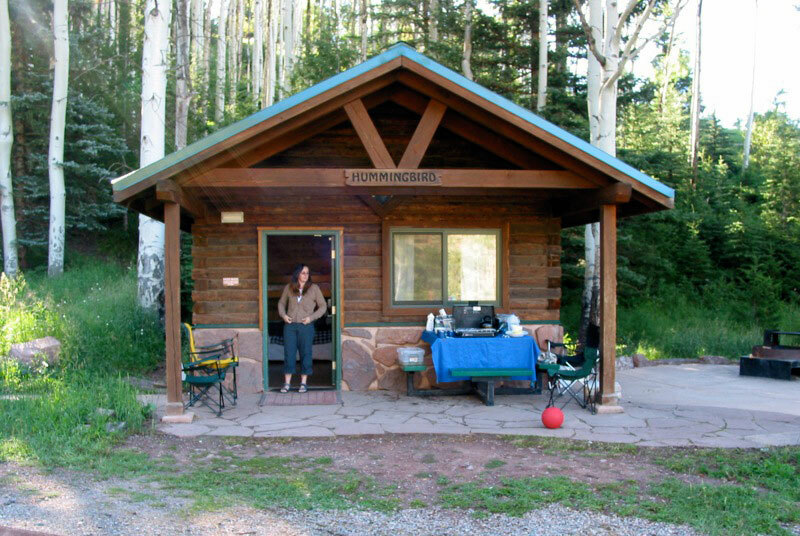 Seven Colorado State Parks have rental options with a variety of amenities. At Sylvan Lake State Park in Eagle, the majestic peaks and leafy trails of White River National Forest are steps from your front door. For staying in the eight comfortable camper cabins, bring bedding, lanterns and a cook stove, and they’ll provide heat, picnic tables, beds, drinking water and a few other perks. Few locales could capture Old West imagination like Dunton Hot Springs does. Located in the southwest town of Dolores, the restored ghost town is almost impossibly old-timey at first glance. A closer look reveals high-end features you’d never associate with camping. 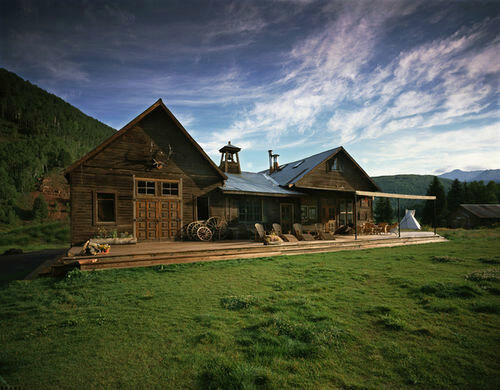 The restored log cabins are exquisitely appointed, and tucked around the picturesque grounds, you’ll find a private little town with a spa and yoga studio, a “saloon” serving three epicurean meals a day, a winery, a library, assorted hot springs (including one right inside one of the rooms!) and more, all amid San Juan Mountain splendor. This La Plata Mountains retreat makes a great basecamp for exploring the ancient wonders of Mesa Verde National Park and the many other heritage sites in southwest Colorado. Willowtail Springs' cottages in Mancos include charming details like a kitchen stocked with homemade bread, lovely gardens, cushy front-porch chairs, wood-burning stoves and windows looking out to pine and cedar woods. Optional extras that up the relaxation factor include a catered dinner or spa treatment right in your cottage and tai chi lessons. Especially popular with fishers thanks to its proximity to the confluence of the trout-heavy East and Taylor rivers, Three Rivers Resort in Almont is a haven in rugged Gunnison National Forest. Each of its 67 log cabins is named after a fly pattern (“the gray hackle,” “orange asher,” “flight’s fancy”), and conveniences include access to the Three Rivers Smokehouse for three dine-in or take-out meals a day, the General Store, a bait shop and private fishing grounds. The proprietors of the six-person Lazy Bear Cabins in South Fork describe them as “rugged enough for hunters, cozy enough for a romantic retreat.” The versatile lodging offers lots of space, comfy beds, personal grills and picnic tables, and a location that’s peacefully remote but still within convenient distance of skiing (Wolf Creek), golfing, fishing, hiking and all the other mountain activities the area is known for. 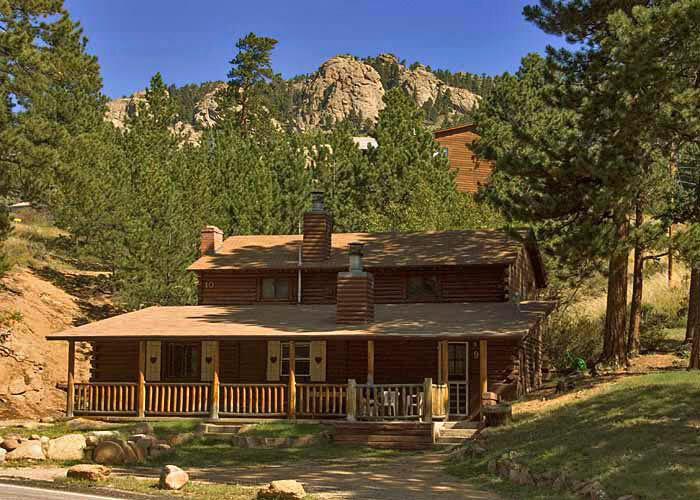 Perched on 40 acres of land with unimpeded views of Boulder’s famed Flatirons Mountains, the 60 studio to three-bedroom cottages at Chautauqua Park are a historic treat. One of a handful of remaining Chautauquas in the nation (learn about the history of the movement), the park’s lodgings were built in the early 1900s. Thoughtfully updated, they’re the perfect antidote for those looking to hang out with nature without straying too far from the world-class dining and shopping of one of the state’s favorite cities. Photos: Courtesy of Woodlands at Fall River (Estes Park); courtesy of Dunton Hot Springs; Timber Lodge (copyright flickr/The Real Bird Catcher); courtesy of Black Hawk Lodge (Estes Park); Sylvan Lake State Park (copyright flickr/JonArcher).